Many people believe that bankruptcy erases debt but this is not completely true. Depending on the category of debt and type of bankruptcy filed, not all debt may be erased. Chapter 7 bankruptcy is designed for people who cannot repay their debts and want a fresh start. For a debtor who meets certain criteria, it is used to remove the obligation to repay many common debts. Understanding which debts can typically be eliminated helps individuals determine whether Chapter 7 is right for them. 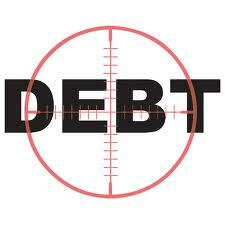 During a Chapter 7 bankruptcy, the assets of the debtor may be sold to repay existing debts. Once this process is completed, a discharge is granted, and your debt is eliminated. This typically occurs within 60 to 90 days of the first creditor meeting regarding the case. Though alimony, child support, some taxes, and several other types of debt cannot be discharged through bankruptcy, Chapter 7 is still a good way to get rid other types of debt. Credit card charges, including late and overdue fees, and most other revolving charge accounts are included in dischargeable debt. Civil court judgments, unless they are based on fraud. Personal loans from employers, friends, and family. Past due rent and other money owed under less agreements. Auto accident claims are dischargeable unless they involve drunk driving. Attorney fees may be discharged unless they are related to awards of alimony or child support. Taxes unpaid past a specified number of years, as well as tax penalties. A bankruptcy discharge removes personal liability for certain debts and prevents creditors from taking actions to collect these debts. In most cases, the debtor receives this discharge approximately four months after filing for Chapter 7 bankruptcy. Only debts that were incurred prior to the bankruptcy filing date are subject to discharge. Any debt incurred after the petition was filed but before the discharge was received remain the responsibility of the debtor. With Chapter 7 bankruptcy, eligible Americans can get rid of most of their debts and rebuild their financial lives. Debtors who need to erase debt must first meet certain criteria including passing a means test regarding income, having little money available to repay unsecured debts, and participating in credit counseling. The individual also may not have had a bankruptcy case dismissed within the previous 180 days or discharged within the past eight years. One type of debt that is difficult to erase in bankruptcy is student loans. If you feel as though the student loans are causing undue hardship and that you meet the requirements of the Brunner Test ? (which is not easy to do), an attorney can help you decide if you qualify to have your student loans discharged or canceled. Consumers should review their unpayable debts to determine whether Chapter 7 will provide the financial relief that they need. We’ve had some questions about this post today related to credit card debts that were used to purchase big purchase items like a refrigerator or an oven. Typically, if a normal credit card is used to make these purchases, the credit card company will not pursue repossessing the item (although they can). However, if it was purchased with a store credit card that you signed up for at the checkout, your chances of having it repossessed by the store and the credit card company are greatly increased. Make sure when you have your free and fast bankruptcy consultation with a bankruptcy lawyer in your area that you let them know if you made a purchase of a big ticket item with a store credit card. Good afternoon Mr. Washington. Fill out the form to the right on this page to get a free bankruptcy evaluation with a local attorney as state laws vary on collection of old debts. In some instances, yes, very old debts can be collected on, especially if there were payment arrangements made over this long period of time. Only a local bankruptcy attorney can properly review your situation. If a debt is not on your credit report, it may simply be that they have not reported it to all 3 of the main credit reporting bureaus (equifax, experian, and transunion). Your best bet is to order all 3-credit reports for free and provide that information when you have your free bankruptcy consultation.